Last week we started looking at ways to economize on ballooning grocery bills, primarily by raising some fruit and vegetables in your own back yard; tomatoes and potatoes were highlighted. This week, we examine two more great sets of plants, each chosen for its health benefits, ease-of-care, and prairie suitability. 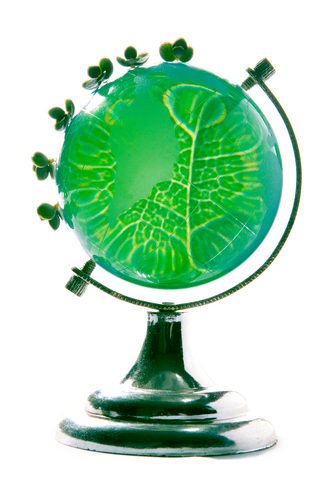 Gaining levels of recognition daily, beets, spinach, and chard all belong to the chenopod plant family. While still not fully understood, chenopod plants are proving to be extremely beneficial to (among other things) the human nervous system, aiding in the maintenance and rehabilitation of relevant structures such as sense organs. High in Vitamins K, A, and C, chenopod plants also possess significant antioxidants and betalains, which aid in cell rejuvenation and detoxification, all the while minimizing inflammatory response. Spinach – look for varieties that give heavy yields and are slow to bolt (i.e. the stems stay firm and crispy; the plant does not go to seed.) Bloomsdale variety is known for this; in addition, it is tolerant of less than optimal weather conditions such as the cool nights we experience throughout the growing season. Combine it with mandarin orange pieces, strawberry slices, almonds, and raspberry vinaigrette for a delicious and healthful salad. Add it to your favorite lasagna recipe for a healthy punch of nutrients and flavorful texture. Steam it and mix it with fresh cream cheese for a party dip with bread pieces…the list of great recipes using spinach goes on and on. Far from the nose-wrinkling lore of old, spinach is great tasting and great for you; Popeye was on to something good! Swiss Chard is a favorable alternative for those that find spinach to be too flavorful or bitter. But not only is it milder in taste, research has shown that swiss chard contains syringic acid, a compound proven to help regulate blood sugar levels. There are several varieties to choose from. 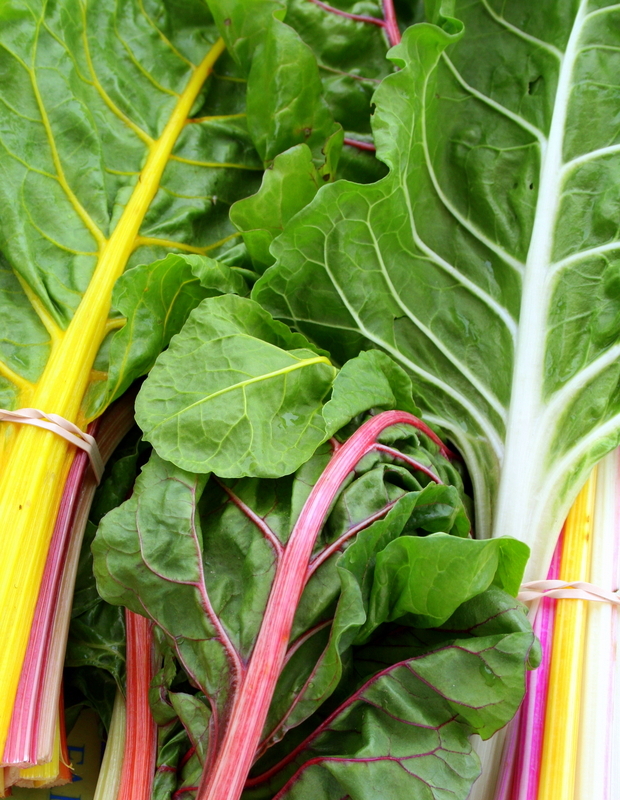 Want a swiss chard that you can enjoy fresh or steamed? Try Fordhook Giant, which has tender yellow-white stems and thick crinkly foliage that is tender enough to eat raw and that still keeps its texture and flavor when cooked. Fordhook Giant also freezes well. Don’t have much space? Try the aesthetically pleasing Bright Lights cultivar, which features stem colors of white, yellow, and red. In addition to a wonderful texture and taste, it is a gorgeous foliage addition to any flowerpot or bed! Closely related to swiss chard, beets are colorful, tasty vegetables that can be eaten in their entirety. Braise leaves with butter and vinegar for a fancy addition to beef or spiced pork; boil the roots and serve warm or let cool and mix into salad. There are a few high producing, weather tolerant varieties that are great for the prairies, such as Detroit Dark Red (heirloom variety, reaches maturity in late summer, cylindrical root) and Early Globe (spherical root, reaches maturity in early summer.) It is interesting to note that the majority of beet seeds are called multi-germ, meaning that a single seed will produce several beet plants. As a result, a 10m long row of beet seedlings can produce 10kg of produce! To keep your crisper full all season, succession seed your leafy chenopod vegetables every two weeks from May through late July; beets should be sown shortly after the last heavy frost of the early spring. Maybe Juan Ponce de Leon actually discovered a chenopod patch when he first toured Florida! Current research has found that the more aggregate fruits and berries we eat, the better and longer we live. Increase your fiber, increase your vitamin uptake, fight off infection more vigorously, lower your blood pressure, increase your brain power…the list of benefits goes on and on with these fruits. And there is even more great news: they are easy to grow! Strawberries (technically known as “aggregate fruits” and not “berries,” as their seeds are on the located on the outside of the fruit) tend to be separated into three main categories: Junebearing, day neutral, and everbearing. Junebearing strawberries have one primary producing period in the growing season (i.e. the month of June), during which time they produce large quantities of ample-sized fruit; canning and jam factories often use this type of strawberry. Everbearing strawberries produce 2-3 crops in a single growing season, but the fruit tends to be in smaller quantities than Junebearing. Day neutral strawberries produce throughout the entire growing season; the fruit, however, tends to be smaller and sweeter than Junebearing or everbearing types. The compact growth habit of day neutral strawberries makes them perfect for growing in a constrained space. Popular Junebearing varieties for our area are Kent (high yield, reliable producer,) Allstar (high yield, good for freezing,) and Honeoye (medium sized, high yield, firm fruit suitable for shipping.) Popular ever bearing varieties for the prairie region are Fort Laramie (large fruit, heavy producing,) Hecker (sweet, small fruit), Quinault (mild-tasting, large fruit, often found in farmer’s markets), and Tristar (large fruit, reliable producer, sweet). The most widely used day neutral strawberry in Canada is Seascape (medium sized fruit, conical shape, very sweet, good yield.) 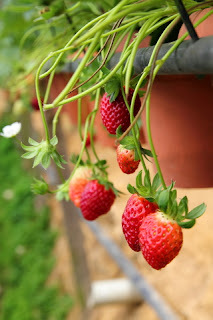 All strawberries are shallow rooted and as a result require frequent, light irrigation. Strawberries further tend to be a short lived perennial (usually around 3 years); in order to keep the production levels up in your strawberry patch, replace 30% of the crop every year. Blueberries are becoming increasingly popular in the diets of many due to the enormous health benefits they convey. Rich in anthocyanin antioxidants (this is what gives the berry its blue color; a single blueberry contains 15 different kinds), blueberries also posess high levels of vitamin A and C, are a good source of fiber, and contain potassium, iron, manganese, and other minerals. These berries have been shown to boost efficient brain function, lower the risk of heart disease, aid in digestive processes, and help to reduce the risk of cancer. 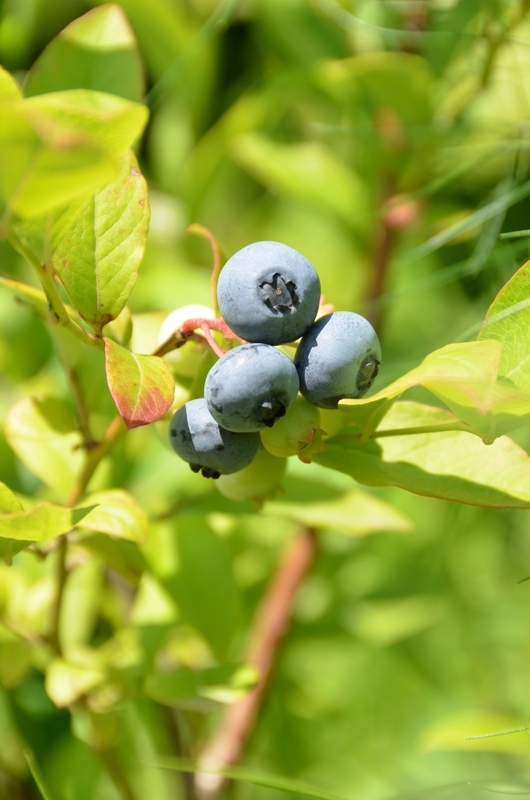 The hardiest varieties of blueberries for the Calgary area are Northsky, Northcountry, Patriot, and Northland. All are crosses of highbush and lowbush blueberries and are hardy to winter temperatures of -30 degrees Celsius with 4-6inches of suitable ground cover such as snow or mulch. Whereas Northsky and Northcountry are very low growers (usually less than 1m in our area), Patriot and Northland grow marginally bigger (1.25-1.5m in our area.) Patriot is the earliest of the blueberries; all of the “North” varieties tend to be mid-season. All blueberries require acidic, peaty soil, so be sure to add two or three extra shovels full of peatmoss into the planting hole when first setting a new plant into the ground; follow up with a well-balanced fertilizer (i.e. 20-20-20 Ultimate by Plant Prod) twice a month from early May through late July. Evolution is an interesting phenomenon, both in the literal meaning of the word as well as cultural lexicon and jargon. Survival and evolution being closely linked to food supply, we as a species have learned to adapt to a wide variety of food sources in order to receive adequate nutrition; our population explosion across all continents is a testament to this. Although we may subsist on food that grows natively in our given ecological region, enjoying a breadth of culinary choices both locally and from abroad is a natural result of technological advances in the developed world. The problem that we are currently faced with has arisen due to inadequate supply for the unprecedented world demand, and the result is higher prices at the grocery store. So staggering is the problem, in fact, that it is estimated that close to 30% of household income in North America is now allocated to food (compare that to the 12% value that was the norm only a decade ago.) What does nature do when it encounters a problem? It evolves, and this is just what is happening to the cultural psyche in many communities. Instead of spending all of one’s hard-earned money on groceries, the grass-roots movement that is sweeping many developed nations is to grow some of the household’s food requirements. By simply growing 5% of the food you consume, an average household in North America can save approximately $1000 per annum. Team this with the unarguable fact that home-grown produce is measurably better for you, and the solution to the issue quickly arises – try growing some of your own!